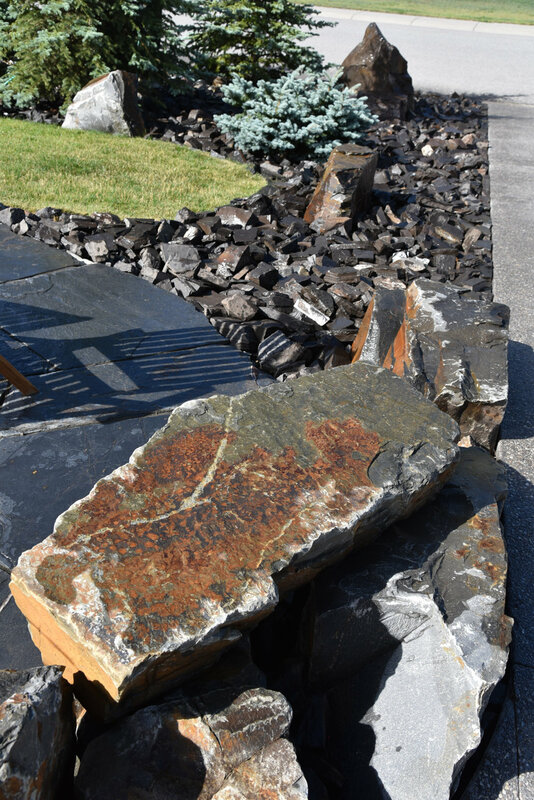 Thinking about adding some rock features to your outdoor landscape? Get patio and landscaping inspiration for your garden, whether it’s a raised patio with a retaining wall, a flagstone patio surrounded by rundle rock, or a wood deck ideal for outdoor entertaining, our round up of spaces are perfect for seating & a BBQ. Add a fire pit & a privacy wall to create a truly intimate space! If you’re looking for an outdoor hot tub specialist, the Solkor Landscaping crew are specialists. We’ve rounded up some of our favorite projects to help inspire you for your own outdoor space. Enjoy the gorgeous mountain scenery in a regular or sunken hot tub, and create an eye-catching feature in your garden. Looking for inspiration for a driveway, walkway, or sidewalk? Here are some of our favorite projects - from stone steps making the most of mountain views, flagstone walkways with low-maintenance shrubs, or rustic wooden walkways. We’ve also created gravel driveways, tarmac driveways, flagstone driveways. Solkor Landscaping create fully-custom fire pits perfect for outdoor entertaining & intimate gatherings. Whether you’re looking for a stand-alone, compact fire pit for a small garden, or a sunken fire pit with integrated seating. Choose from a modern design or a rustic fire pit build out of natural stone. Whether it’s a water feature for your existing space, or a whole new landscape, Solkor Landscaping are experts in water features in Canmore and Banff. We create environmentally friendly water features that reduce flooding in the surrounding habitat. Talk to us about adding a water feature to your garden.